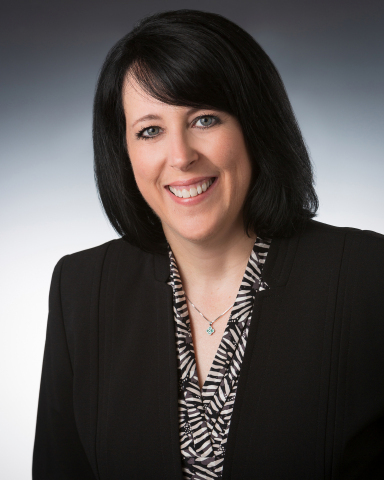 Great Western Bancorp, Inc. Names Karlyn Knieriem Chief Risk Officer & Executive Vice President (Photo: Business Wire). SIOUX FALLS, S.D.--(BUSINESS WIRE)--Great Western Bancorp, Inc. (NYSE:GWB), the parent company of Great Western Bank (www.greatwesternbank.com), today announced that Karlyn Knieriem has been promoted to Chief Risk Officer & Executive Vice President, effective immediately. Knieriem will have responsibility for the overall direction and operations of the risk department, including Enterprise Risk Management, Bank Secrecy Act, and Compliance and Risk Asset Review. Knieriem joined Great Western Bank in 2016 and most recently held the position of Head of Enterprise Risk Management. During her tenure at Great Western Bank, she has helped to design and implement an Enterprise Risk Management program. Karlyn has 20 years of banking experience, including previous roles at First National Bank of Omaha where she designed and implemented several risk management programs including an Internal Capital Adequacy Program inclusive of Stress Testing, Model Risk Management policy, Counter Party Risk Management and Wholesale Funding Program. Knieriem earned her B.S. in Accounting from the University of Nebraska – Omaha. She will report directly to Karels and be based at corporate headquarters in Sioux Falls, South Dakota.